TRADER's strategic investment in Vancouver-based Convertus earlier this year has allowed the company to begin working on a new TAdvantage digital solution for Canadian dealers that will launch nationwide in February. The company announced Wednesday that as part of its comprehensive digital solutions strategy, its TAdvantage dealer website solution will see a major upgrade on the heels the company’s recent partnership with Convertus — a Canadian provider of premium web solutions and digital marketing services for automotive dealerships — earlier this year. To enhance digital marketing capabilities for dealers, the company said that TAdvantage will be closely integrated with the new digital advertising platform, TRFFK, that TRADER first introduced to dealers late last year. TRADER said that it aims to bring dealers a comprehensive solution that optimizes the entire consumer journey with premium technology and service for Canadians. “The new and improved TAdvantage … will allow TRADER to bring innovation in-house and be adaptive to what its sales and product teams see firsthand as current and future needs specific to Canadian dealers,” the company said. 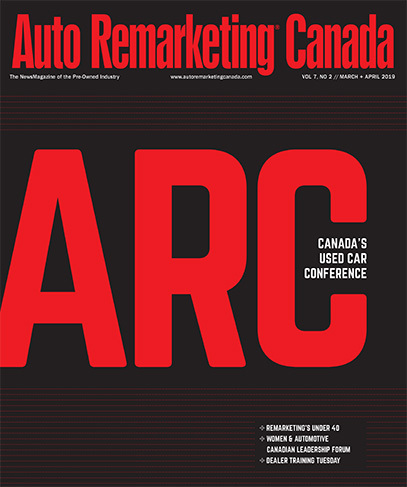 Meanwhile, in wait of the revamped TAdvantage’s February launch, TRADER said that it will carry on representing Dealer.com exclusively in Canada, and all dealer websites will be fully supported. “At launch, existing website customers will retain all core site functionality and features and will benefit from a painless transition from the old platform to the new, improved TAdvantage,” the company said.